Who's Who in America, 1st Ed., 1899-1900, Providence, RI: Marquis Who's Who, 1899, Repository: LDS Family History Library - Salt Lake City, Call No. US/CAN 973 D36w 1 ed. Vol. 24, 1946-1987, p 2012. Biographical Directory of the United States Congress, Washington DC: Government, Printing Office, 1989. Biography* � The following is from p. 2012 of Who's Who in America Vol. 24, 1946-1947: ROGERS, Dwight L., congressman; b. Reidsville, Ga., Aug. 17, 1886; s. William Millard and Augusta (Laing) R; B.S., U. of Ga., 1909; LL.B., Mercer U., Macon, Ga., 1910; m. Florence Roberts, Nov. 15, 1916; children -- Dwight L. (officer U.S.N.R. ), Paul G. (officer U.S. Army), Doyle. Admitted to practiced law, Ocilla, Ga., 1910-25; practices with John E. Morris, Fort Lauderdale, Fla., 1925-30; representative to Florida legislature from Broward County, 1930-38; mem. 79th Congress (1945-47), 6th Fla. Dist. mem. Phi Delta Theta, Sphinx. Kiwanian. 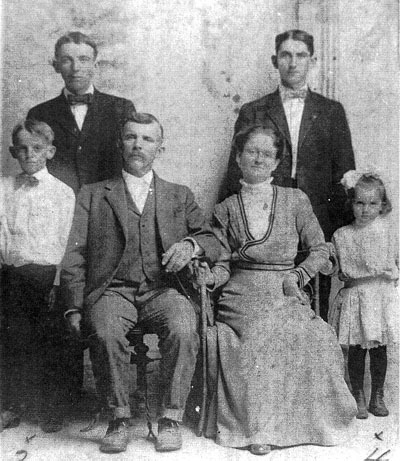 Home: Fort Lauderdale, Fla.
Julian Roberts, Grandson, M, May 1894, 6, S, GA/GA/GA. Roll: 364; Page: ; Enumeration District: 131. E-mail written Jul 2011 to Lew Griffin from Brian Stout, e-mail address. It seems Howard Paul O'Rear, Sr. is buried in Hamilton Memorial Gardens. It says he is buried next to his wife, Pearl O'Rear. I am assuming that this is a second wife. I have not found the location of Bessing Harding O'Rear. from the Atlanta Constitution, courtesy of Betty Cherry. Florence Phillips Griffin devoted herself to preserving the vestiges of days gone by. She researched the history of Georgia’s plants and pottery, homes and furniture, then volunteered to share her knowledge with others. She helped found the Southern Garden History Society, Georgia Conservancy and the Georgia Trust for Historic Preservation. She helped preserve the Tullie Smith House, one of the city’s oldest homes. She saved “the barn, the corn crib, the slave cabin —- if it wasn’t for Florence, we wouldn’t have those,” said Sally Hawkins of Atlanta, a friend of 50 years who volunteered alongside Mrs. Griffin. Mrs. Griffin, 88, of Atlanta, died at home Monday of complications from Parkinson’s disease, said her daughter, Ellen Knox Griffin of Smyrna. The body was cremated. A memorial service will be 2 p.m. Saturday at H.M. Patterson and Son Spring Hill Chapel in Atlanta, with visitation an hour before. 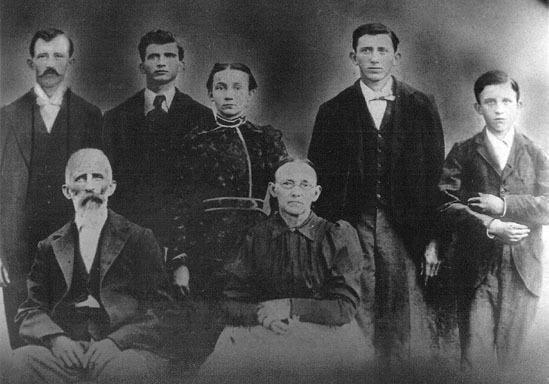 Mrs. Griffin’s deep roots and interest in the Peach State began in rural Georgia. She was born and raised in Greenville then, after college, moved the 50 miles north to Atlanta to work. At an Atlanta Bird Club meeting in 1945, she met attorney William W. “Bill” Griffin. Their marriage was built on kindred interests in nature and in relics from the past. Pinpointing the reason for Mrs. Griffin’s interest in history “is kind of like asking how the world began,” laughed her youngest son, Dan Griffin of New York. The Tullie Smith House, a rare example of the plain plantation architectural style, was built in 1840. By the late 1960s, it stood as an island surrounded by highways and office parks. Heirs donated the house, and it was moved to the grounds of the Atlanta History Center. Mrs. Griffin’s influence was key in the decorating and furnishing of the house and designing its garden. She salvaged historic plants such as antique iris, flowering quince and Persian lilac from other old homes in metro Atlanta. With these projects and at home, she took charge with such a stately, ladylike manner that family and friends called her “The Queen.” “She would make a quiet, subtle suggestion, and you knew you better do it,” Mrs. Hawkins said. She didn’t overpower people with her authority, but rarely was it questioned. “Few people were as knowledgeable about Georgia history and the artifacts connected to it,” said Jackie Montag, the history center’s former board chair. 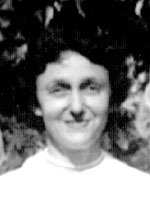 Mary L. Culpepper, Sister (-in-law), F, 51, S, GA/GA/GA.